The relationship between troubled businesses and their creditors has been shifting away from the extremes of low-key interpersonal solutions and complex legal solutions that drag through bankruptcy court. Today, reorganization and negotiation are the tools of choice, while Congress studies further refinements to bankruptcy law. And troubled businesses are turning to turnaround specialists like Rob Charles, a partner with local law firm Lewis Roca Rothgerber. He is widely recognized as one of the best in the Southwest. Charles primarily represents both secured and unsecured creditors, as well as debtors, in all aspects of Chapter 11 business bankruptcy cases before the bankruptcy courts and in appeals. He works with lenders and borrowers out of bankruptcy in all aspects of debtor/creditor relationships, including workouts and litigation. 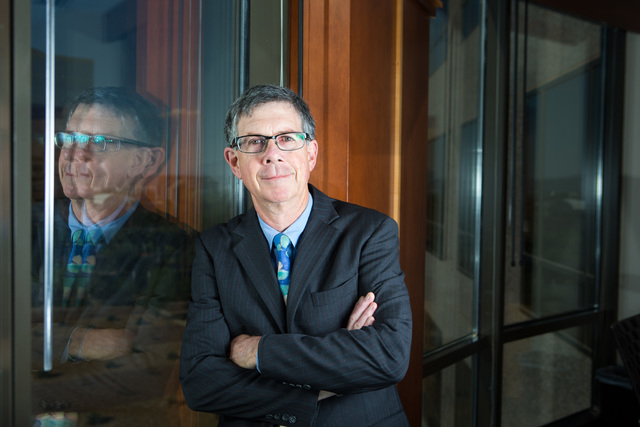 His clients range from agricultural lenders to national banks to sellers with carryback interests, according to his profile on the firm’s website. 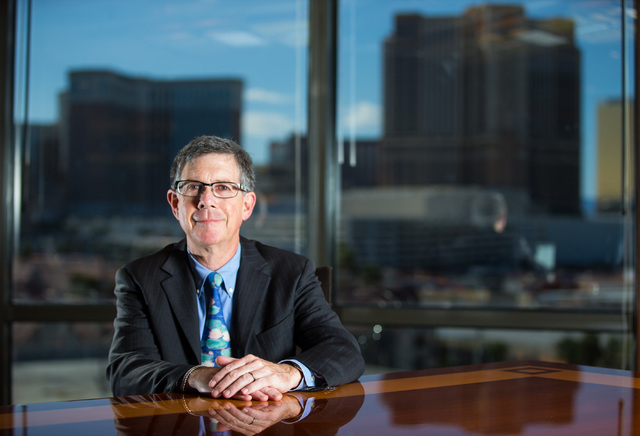 Mark Stark, chief executive officer of Berkshire Hathaway Home Services in Arizona, California and Nevada, was impressed with how Charles helped his company when it was under the Prudential umbrella in 2007-08 when the Great Recession had many companies looking for relief. Charles led Stark and Prudential through a successful reorganization. “He’s brilliant, over the top, carefully direct and engaging. He cares and it comes from the heart,” Stark said, detailing Charles’ legal acumen. Charles was recently invited to share his expertise as a feature panelist for the Turnaround Management Association Nevada chapter meeting. 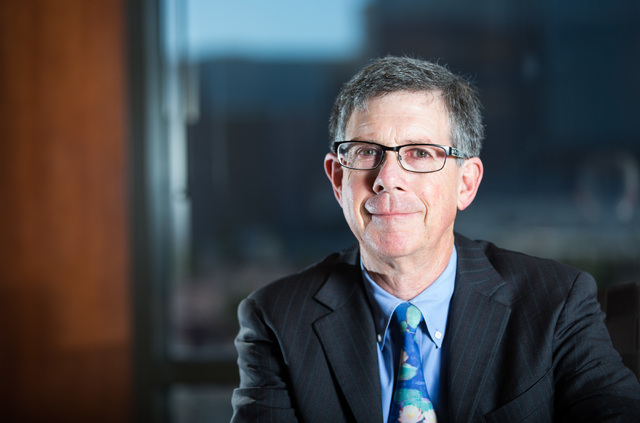 Charles first discovered a love for the law when he discovered the law school library in Tempe, Arizona, when he was in high school. He was also involved with public speaking and debate in high school and college, and those interests led him to a law career. 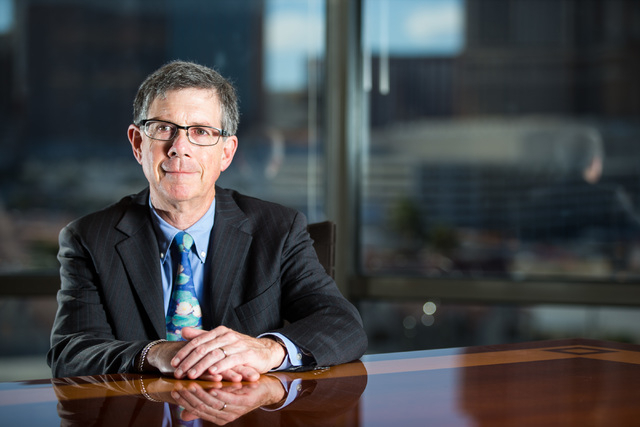 After completing law school at the University of Arizona in 1982, he started working for a U.S. District Court judge in Phoenix. In 1984, Charles started working with the law firm that would eventually become Lewis Roca Rothgerber. He started with the firm right before the mid-1980s business cycle recession that caused real estate values to plummet and the failure of savings and loans institutions, which in part was caused by a change in the tax laws. 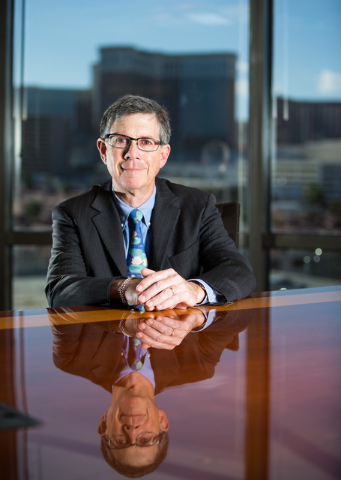 That crisis, along with working with some of the nationally recognized leaders in bankruptcy law, drew Charles into the bankruptcy and turnaround field. While Charles cut his teeth on the S&L crisis in the 1980s, he had climbed to the top of the pack by the time the Great Recession of 2008 plunged the country into another critical economic period. Prudential was one of the companies he helped guide through a turnaround situation, but what exactly is a turnaround and how does it work? Charles said a turnaround is taking a business that is facing some sort of distress that usually manifests itself in money trouble, but it’s typically caused by any number of things. As far as the legal challenges go, he said those vary depending upon the nature of the business, the nature of the problem, and it can be impacted a great deal by the nature of the creditor/lender constituency. “If you tell me the problem of the business is a restaurant that had a health problem — a worker came with Hepatitis A and didn’t properly wash his hands and passed Hep A onto customers,” Charles said. “That is not a legal problem, but that caused the business problem, and the consequences from that may be getting back into the good graces of the health agency. You’ll also probably be dealing with lawsuits, and demonstrating to creditors and lenders that the business is viable again. Chapter 11 bankruptcies have also been in the news lately, but not because of a great increase in them. Republican presidential front-runner Donald Trump went through four bankruptcies on businesses he owned, which will surely be an issue if Trump is the GOP’s nominee heading into November’s election. But just what is a Chapter 11 bankruptcy? Charles explained that Chapter 11 is basically reorganization, which can be beneficial to an entity that is overleveraged or has more debt than it has the ability to repay or assets to cover the debt. Charles said there isn’t a magic result for debtors or creditors in this situation. He added that Chapter 11 bankruptcies tend to be messy and expensive, which is why there are fewer complex bankruptcies filed than in the ’80s, ’90s or even up to about 2005. Charles said Chapter 11 bankruptcies have been declining since 2006 because attorneys are getting better at explaining the costs and time involved in the Chapter 11 processes, lenders are more insistent on foreclosures, and lenders are getting smarter about putting obligations on owners to guarantee debts. “Banks used to be a part of the community, and if a good established business in the community has some trouble, maybe the bank will help it work out its problems,” Charles said. “It will be a huge part of the community going forward and will come back to that bank for more loans. Now, a hedge fund owns a piece of the loan and its only interest is in profit. How decisions are made in the commercial loan business is wildly different and much less capable of being reorganized or settled now than it was when you had more human contact with lenders and people enforcing loans. The American Bankruptcy Institute has proposed numerous changes to the country’s bankruptcy laws, including an attempt to rebalance the relationship between Chapter 11 retail debtors and commercial landlords. The changes were proposed last year, but with Congress gridlocked and refusing to act on anything during the last few months of President Barack Obama’s term, the proposals are languishing.